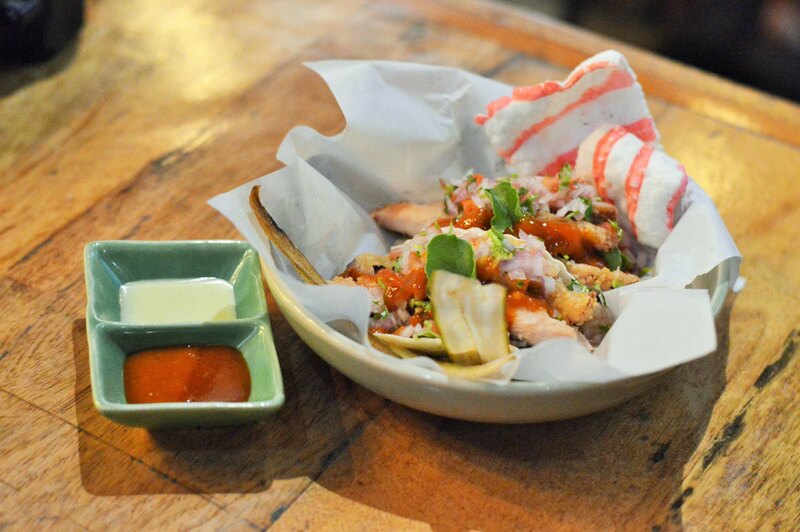 Mamagoto is a fun destination for a casual round of fusion dishes which has more emphasis on Pan – Asian cuisine. The word ‘Mamagoto’ itself translates to ‘fun with food’ and the chefs here have actually managed to bring out some very quirky dishes on their food and beverages menu. 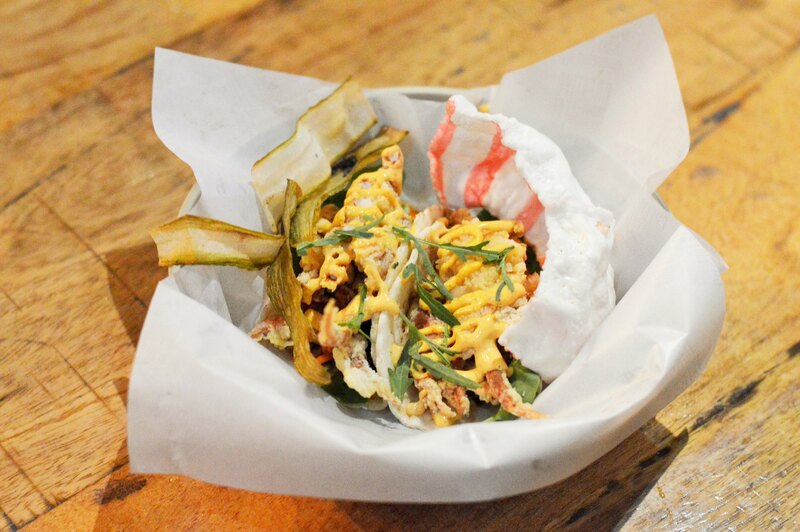 The on going food festival deals with soft shell Tacos, a Mexican delight which has undergone an Asian treatment. The vibrant platters and amazing cocktails are a visual treat in itself, so read on to know more about what’s offered as part of this food festival. 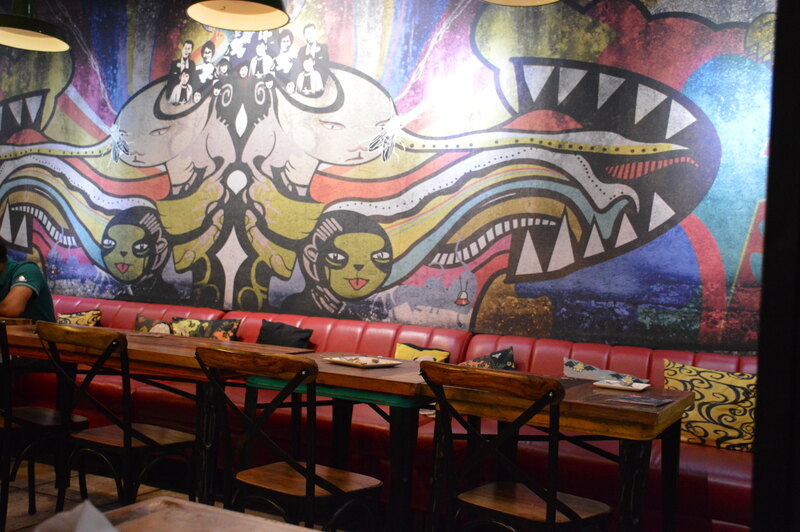 LOCATION – Mamagoto is located slightly off Indiranagar 100 Ft Road, on 12th Main. If you are travelling from Domlur side, take a left at Sony Signal and at a little over 200 meters you can easily find this outlet on the right side. Well, the area is bustling with other eateries in the vicinity and Mamagoto shares space with ‘The Humming Tree’, a premium lounge. Finding a parking space on your own on this narrow lane can get tricky, that’s when the valet parking facility comes in handy. AMBIENCE – Climb up a couple of stairs and you are welcomed by a huge rustic wooden door. The seating arrangement near entrance is completely different from what you get on going further inside. The place was actually crowded with almost all tables occupied, we were lucky enough to find a decently well lit corner. I loved the shady appearance of this place, something different from other Pan Asian restaurants in Bangalore. You also find lot of drawings inspired by Dragons, Samurai, Manga and so on. 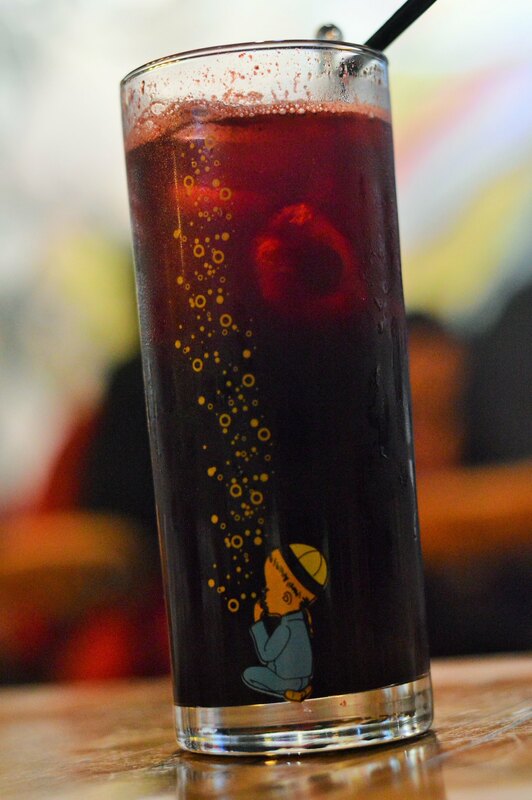 BEVERAGES – We decided to stick to the separate menu which has been specially curated to cater to this food festival. But one glance at it made us realize that though they have some wonderful collection of cocktails, there are no Mocktail options included. Hence, we had to bring in the normal menu which had loads of Mocktails listed as ‘Non Alcoholic Cleansers’. 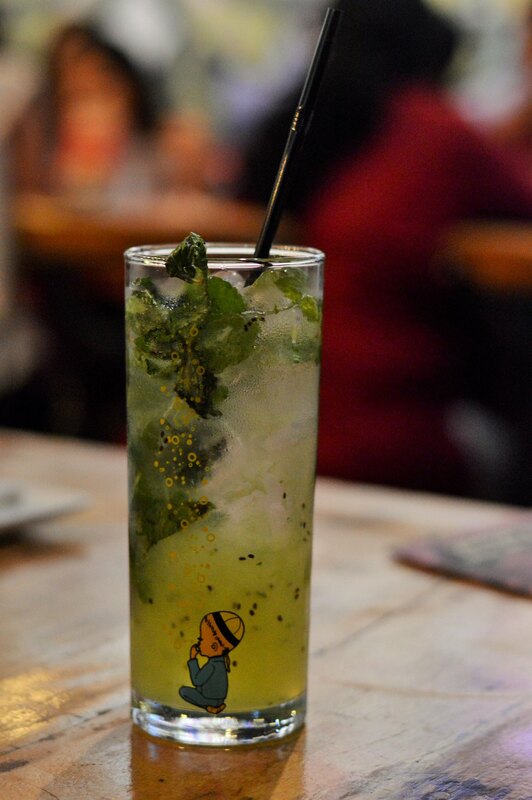 We were Kiwi and Mint Collins which is a Soda based refreshing drink with loads of muddled Kiwi, mint and fresh lime. Blueberry Cooler was again a Soda based drink, a concoction of fresh berries blended with lime and sugar. Both Mocktails. 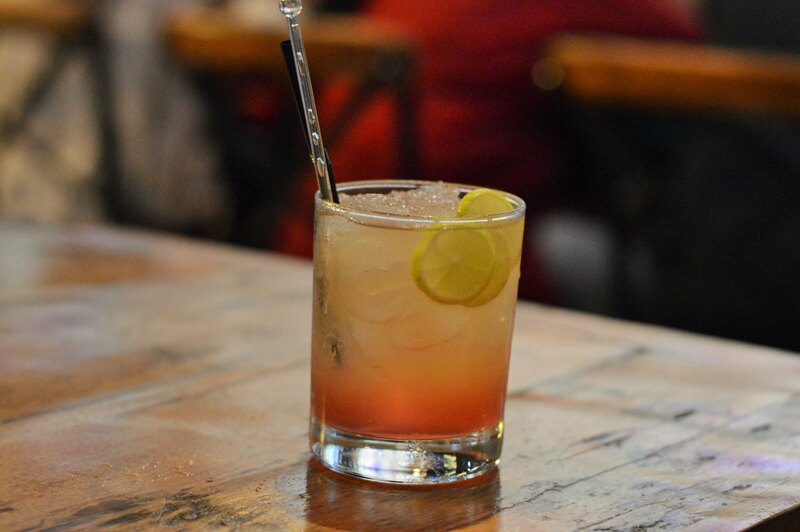 The Cure – Wine based (both dark and white) with Pineapple juice and lime and a hint of Soda. This drink was a easy going one, basically was not sour! Notice the small bowl of Pineapple? 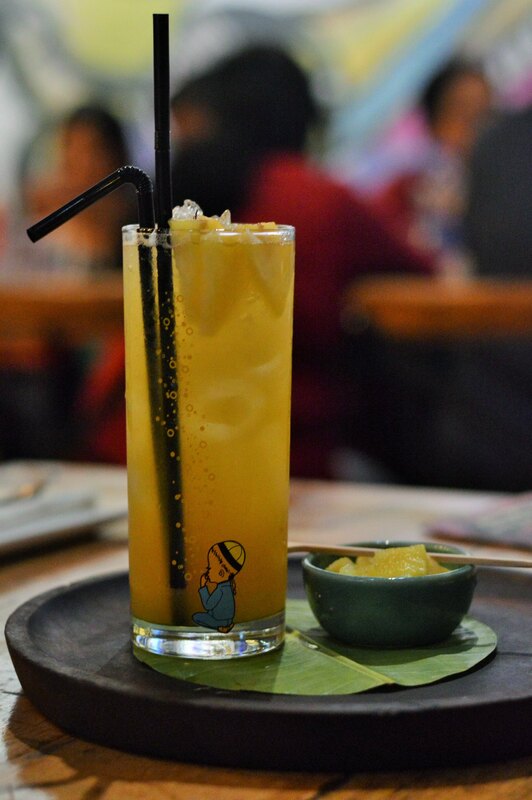 Melon and Gin Story – As the name suggests, it is Gin based infused with Melon and lime juice. An easy going cocktail with lots of melon essence. 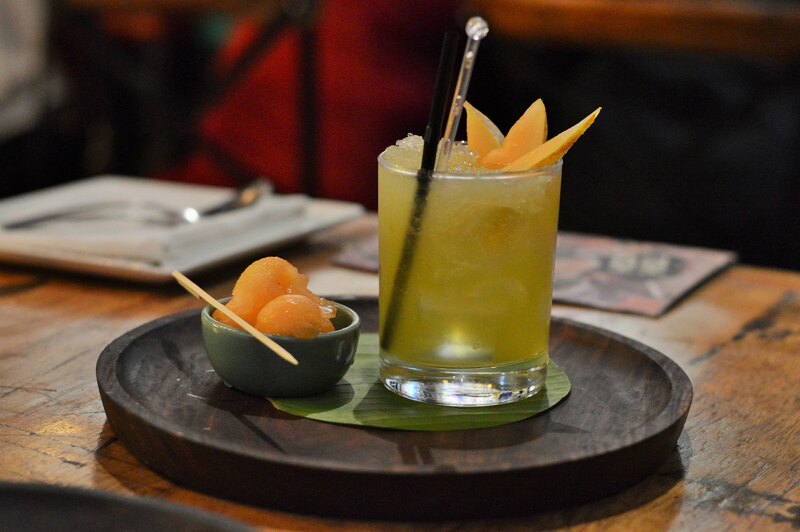 It is served with a bowl of muskmelon, a very thoughtful presentation. 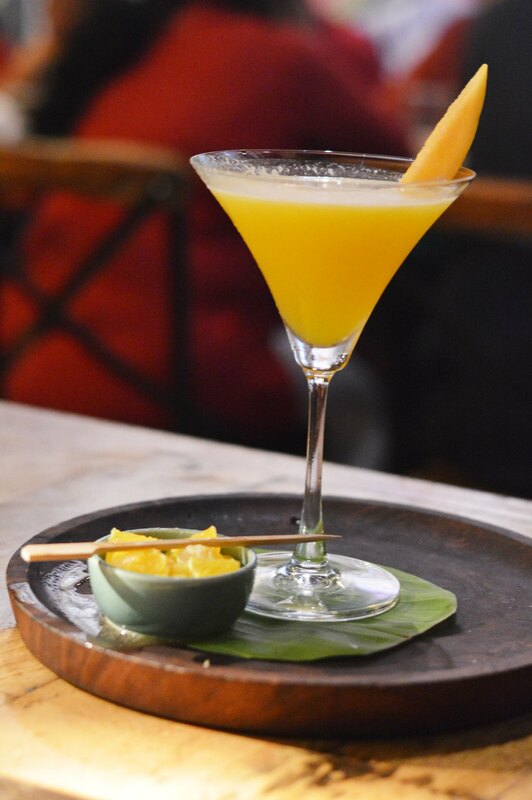 Orange and Melon Martini – Served in a proper Martini glass, this drink is a strong mix of Vodka and their home made sweet and sour mix along with hints of Orange and Melon juice. Lychee & Cranberry Whiskey Sour – I am not a fan of this particular cocktail, but the other person who had this really appreciated it. You get lychee and cranberry shaken with Scottish whiskey and poured over ice. 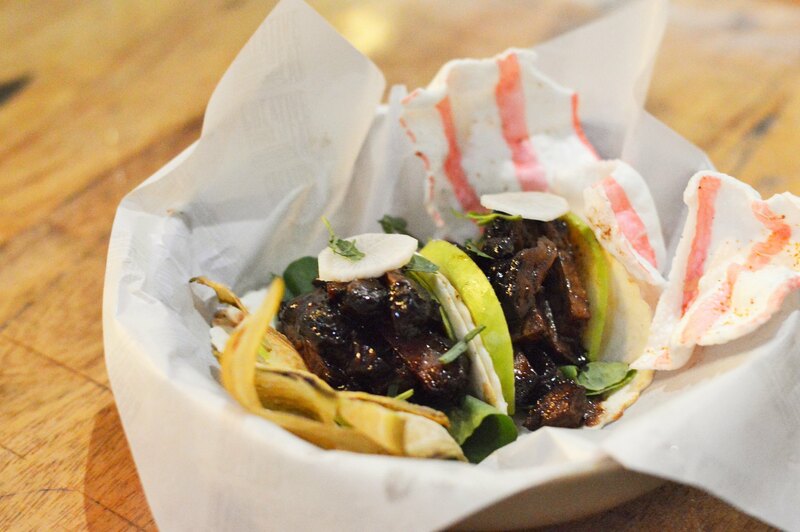 Tacos – Soft shell tacos are the highlight of this festival and we were eager to dig into them. The vast choice of options for both vegetarian and non vegetarian tacos can surely keep you busy with the menu. I liked the quirky way of naming each variant of tacos available here. We started off with ‘Smoky’, a chicken taco with green chilli mayo, goat cheese, salsa and garnished with loads of micro greens that gave it a unique flavor. 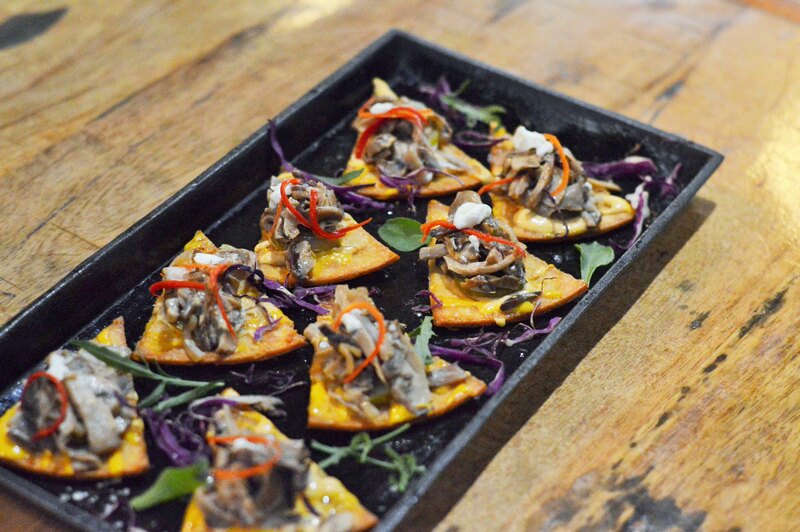 Next up was ‘Mushroomy’, tiny flat breads topped with mixed mushroom, kimchi, pickled cucumber and blue cheese. Personal Opinion: Slightly more portions of cheese would have been better. 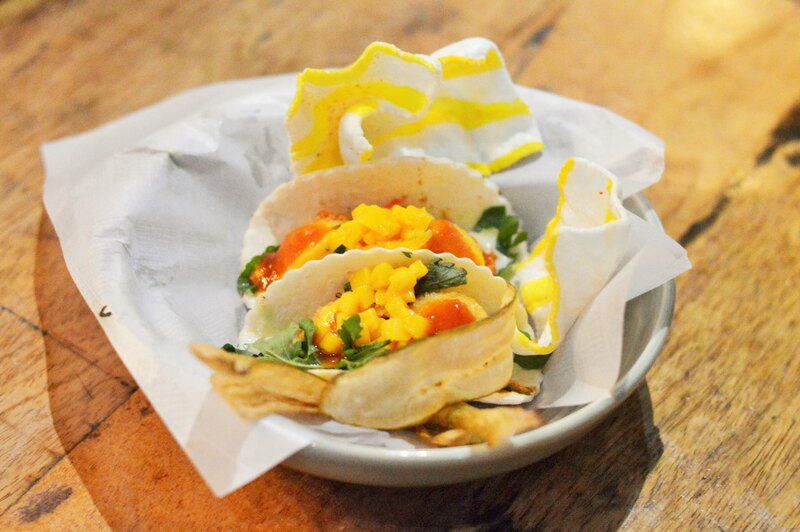 Then came the ‘Cheesy’ tacos, this one was more on sweeter side because of added mangoes. It is served with Mint sauce. By now we had covered a decent set of tacos from their special menu and wanted to go for one last round, so we asked for ‘Prawny’, ‘Craby’ and ‘Ducky’. As evident as it can get, they were prawn, crab and duck meat tacos. Ducky uses plum sauce and that makes it dark in color. Each variant of taco here is served with different set of sauce and this goes on to show that the chefs here have taken care of even the tiniest details to make your tacos tasty. GRUBITIZER’s VERDICT: The Tah Koh food festival is one of its kind and definitely worth trying it out. The exotic mix of ingredients that has gone into making of these tacos are just amazing and gives every preparation a unique character, no two Tacos here had slightest similarity with the other. The Cocktails too added a lot of bling to the overall platter and complemented the Tacos in a nice way. Well, what are you waiting for? Head over to Mamagoto at Indiranagar before the 31st of July to be a part of this Food Festival.